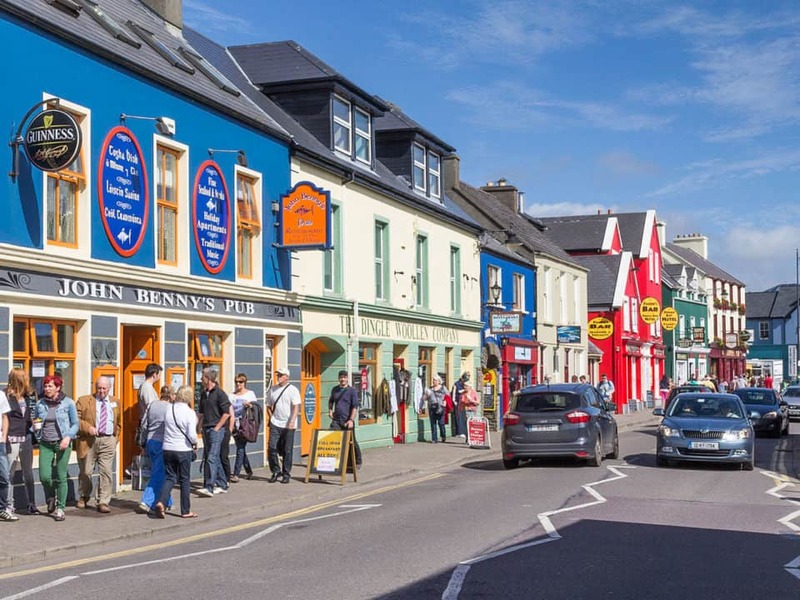 When you talk about travel in Ireland most people think of places like the Cliffs of Moher, Galway City and its music heritage, the Ring of Kerry, Dublin and all the usual tourist suspects. 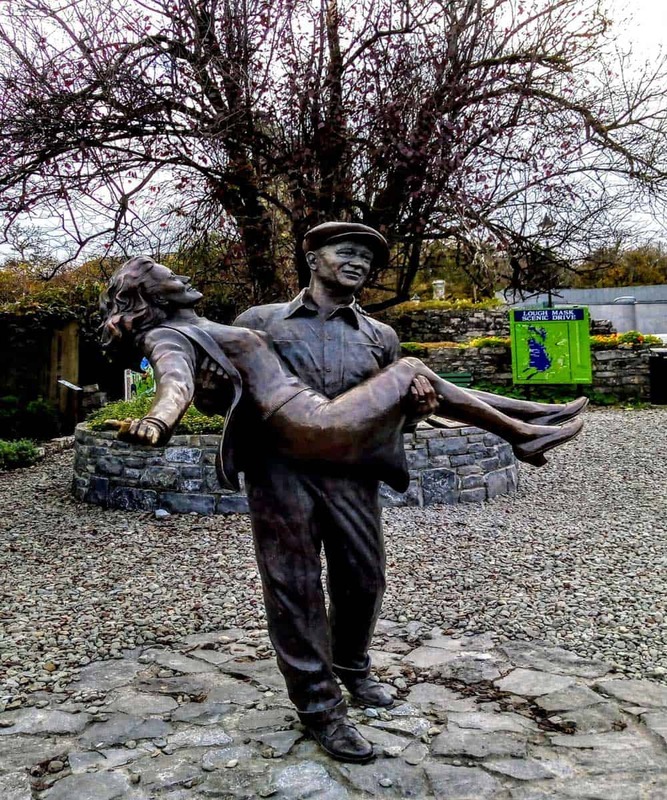 However, there is a hell of a lot more to Ireland than these, and really, what makes Ireland so special is the warmth of its welcome in small towns and villages. The openness of the folks to have a chat with a stranger. The ongoing craic in pubs and the nightlife that doesn’t care if you are 19 or 90. Ireland is the land of a thousand welcomes and there are no better welcomes than in the small villages and towns across the entire country. 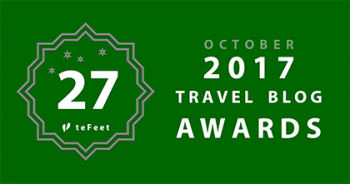 Planning a trip to Ireland? Here’s everything you need to know. Carlingford is absolutely one of the prettiest places in Ireland. Right beside the fabulous Carlingford Fjord which makes a natural border between the Republic and N. Ireland. 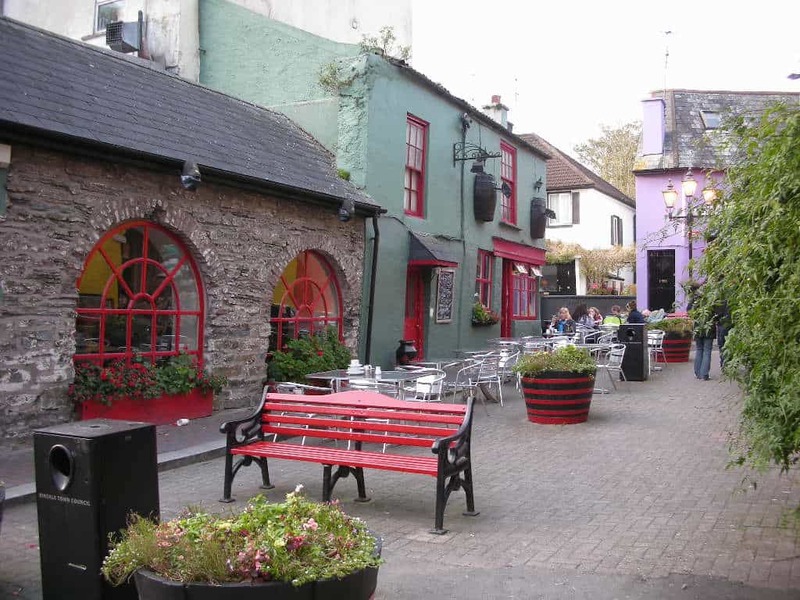 Carlingford is a feast of pretty coloured houses side by side with medieval ruins. Renting a car in Ireland can be a confusing process, here’s how to navigate it. Adare is pretty special with its beautiful foliage, trees and gardens and oh the thatched cottages and historic buildings are amazing. 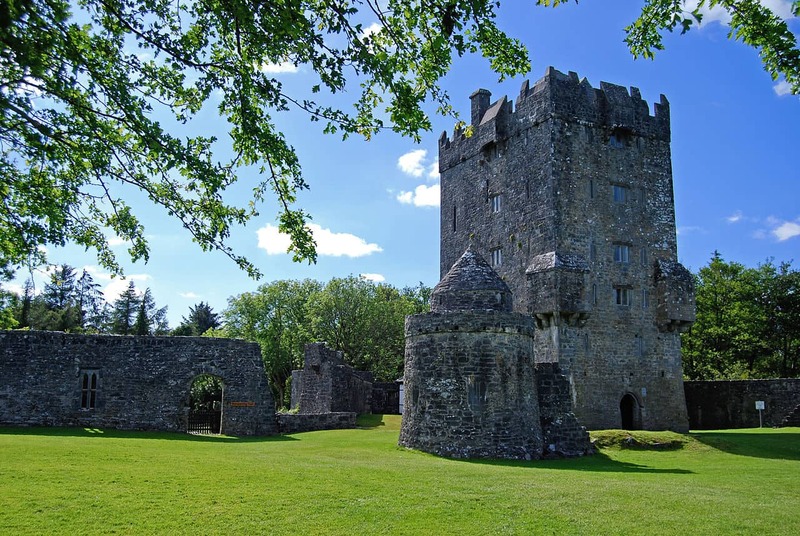 In Adare, you can explore the ramparts of Desmond Castle which dates back to the 12th century. Alternatively, if you are feeling particularly rich stay at the Adare Manor a truly luxury hotel and golf resort. Next, to the golf course are the ruins of a 15th century Franciscan Abbey. On the main street are some truly lovely boutiques and fabulous places to eat and have a coffee. I particularly recommend the Village Bistro. Where we had the best breakfast ever of brioche French toast with caramelized bananas and bacon – oh my god heaven on a plate. 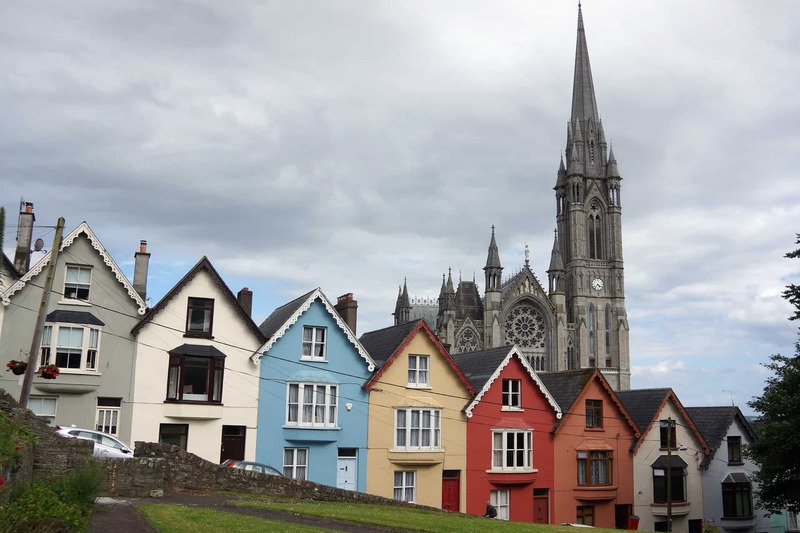 When you see pictures of Ireland and its colourful villages, you will almost always see photos of Cobh in Cork. Atmospheric shots of the Cobh Cathedral with rows of beautifully painted and decorated homes that make you long to visit. Cobh was for many years the last stopping point on the way to N. America. My husband and his family left from Cobh in 1965 to make the journey to Canada. A truly quirky place the painted cottages of Cobh step down to the waterfront where there is a memorial to the Lusitania. 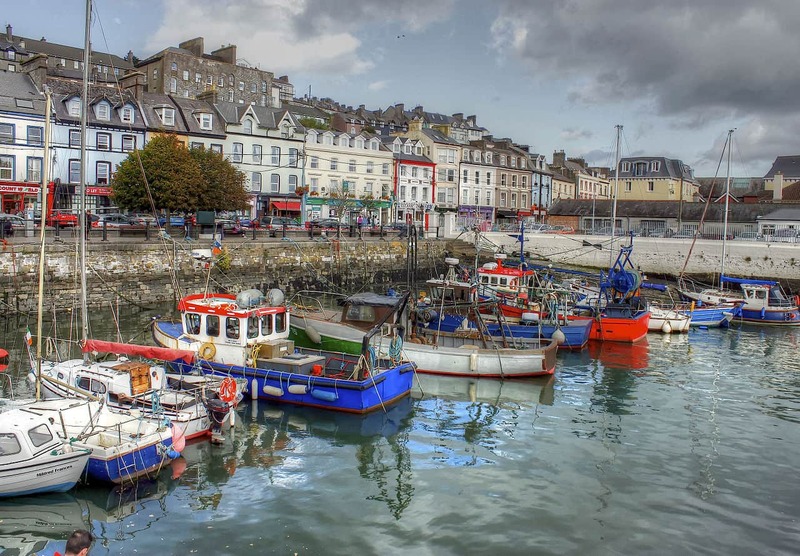 Cobh is a mecca for festivals from the Blues Festival to Sea Angling and Regattas. There are plenty of great restaurants, places to stay and much to do in Cobh it is a tourist delight. Ardara (pronounced ‘Ardra’) is located in the southwest region of Donegal one of five designated heritage towns in Donegal County. Close to the Owenea River, where you can see the salmon and trout leaping and near the Glengesh Pass Ardara is famous in these parts for its love of traditional music, Donegal style. 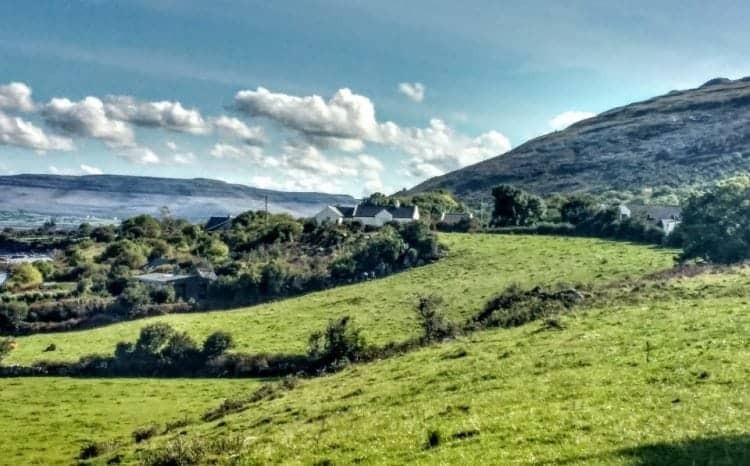 Ardara, with its musical heritage, is home to one of the best traditional music festivals in Ireland the Cuppa Tae Traditional Music Festival held in early May. Ardara has long been involved with the tweed and knitwear industry in Donegal and has some of the best outlets for these classic Irish favourites. The Ardara Heritage Centre features the development of the Tweed industry in Ireland and in particular Donegal. 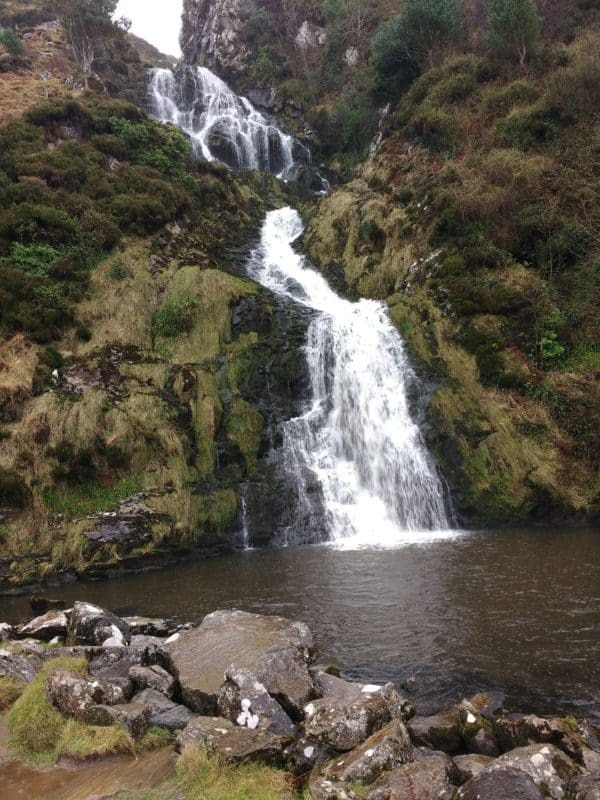 Close to town you can visit the beautiful waterfall called Assaranca and then head down to Maghera Beach and caves, just watch the tides you don’t want to get stuck. Nearby you will also find the Kilclooney Dolmen tombs these date back 3500 years. 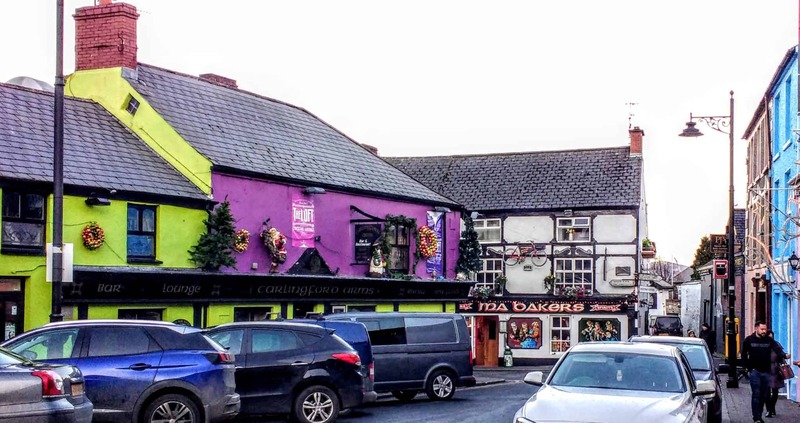 Birr is in Ireland’s Ancient East and an area that is often overlooked by tourists. It’s a heritage town with beautifully preserved Georgian buildings painted varying colours. Birr Castle is a fascinating place to visit. Although you can’t see in the Castle itself, the grounds and gardens are outstanding. 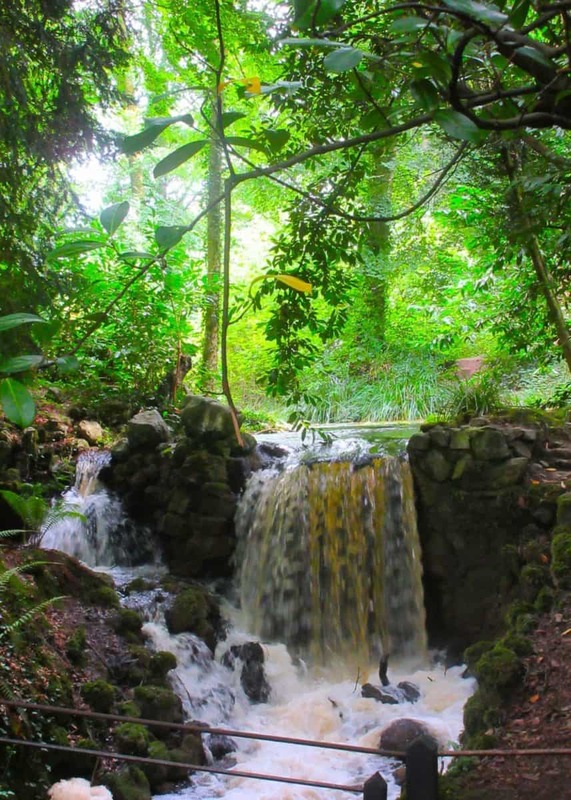 From rushing little waterfalls to walled gardens filled with unusual and exotic plant life Birr Castle is a real treat. 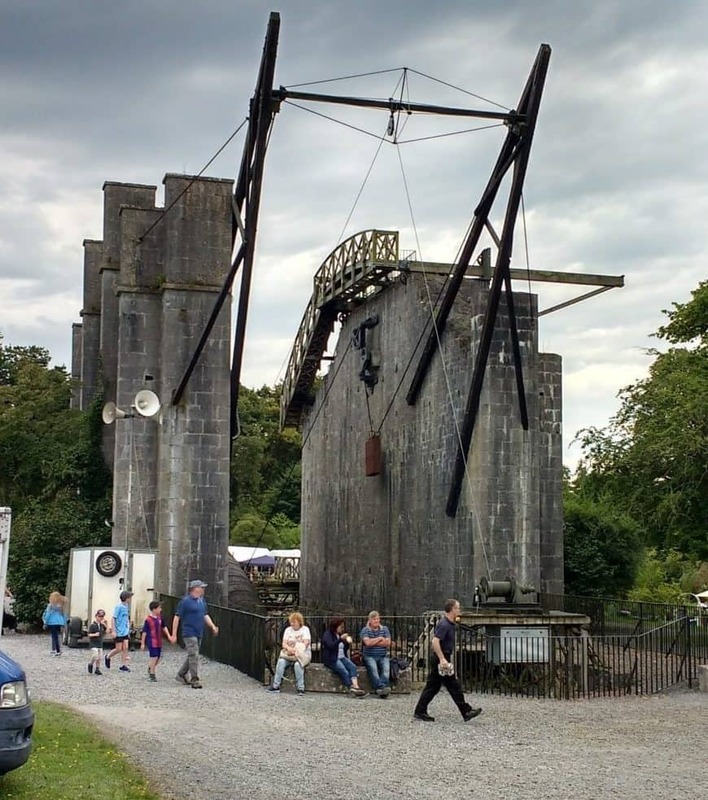 One of the sites on the grounds is a telescope built here and on the show to the public was the largest in the world for 70 years until 1917, and was instrumental in a number of important advances in the science of astronomy. Birr Castle also plays host to the Irish Game Fair every year. With dozens of stalls selling Irish handmade charcuterie to baked goods, wax Jackets to guns and hunting equipment. The Game Fair draws over 50,000 people every year. 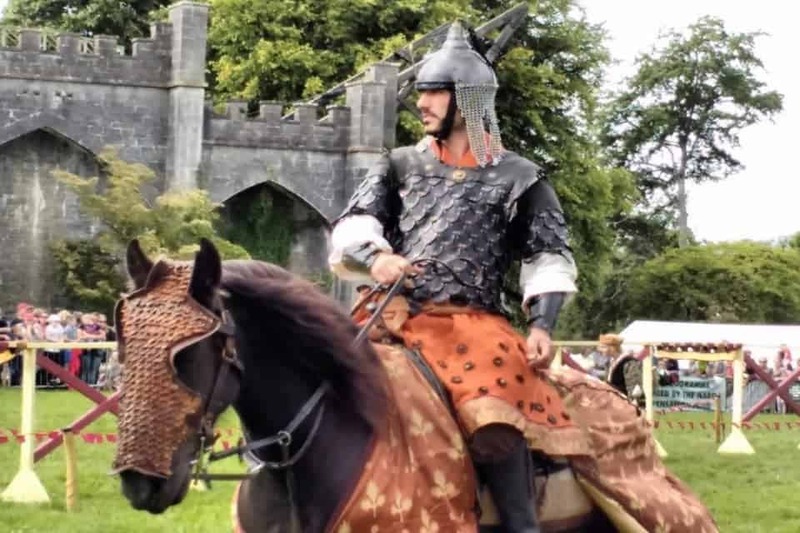 There are re-enactors jousting, Viking villages, hawks, eagles and hunting birds, dog trials, riding events and so much to see and participate in it makes an amazing day out. 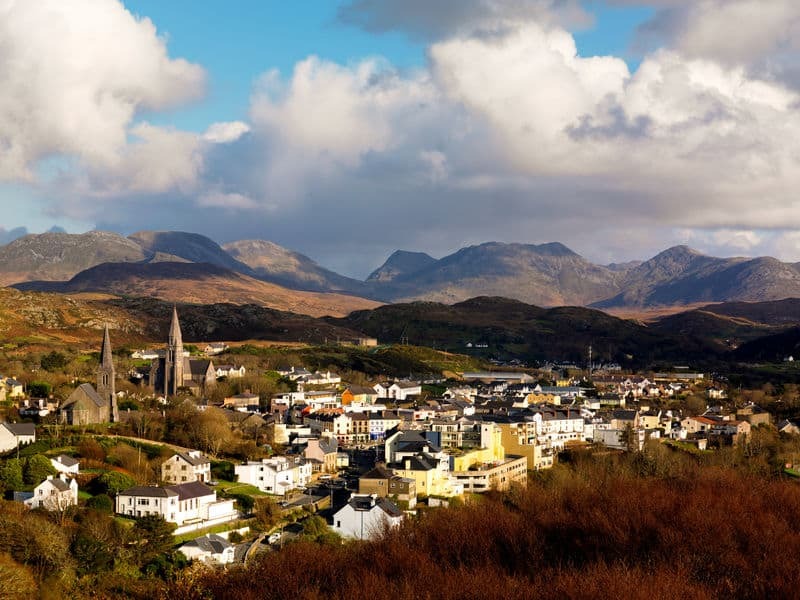 Clifden is a relatively new town in Ireland considering it only came about in the early 19th century. It was thanks to the building of Clifden castle, which did not succeed and fell into disrepair, that the town was built. Unofficially regarded, as Connemara’s capital it sits nearby the Twelve Bens, the Connemara Loop and off the coast is Inishboffin Island. Clifden is also known throughout the world because in October 1907 the first commercial transatlantic message was sent from Marconi’s wireless telegraphy station in town to Glace Bay, Newfoundland. Dingle is one of those places that everyone has to visit when in Ireland. It sits at one end of the rugged Conor Pass on a fishing harbour. 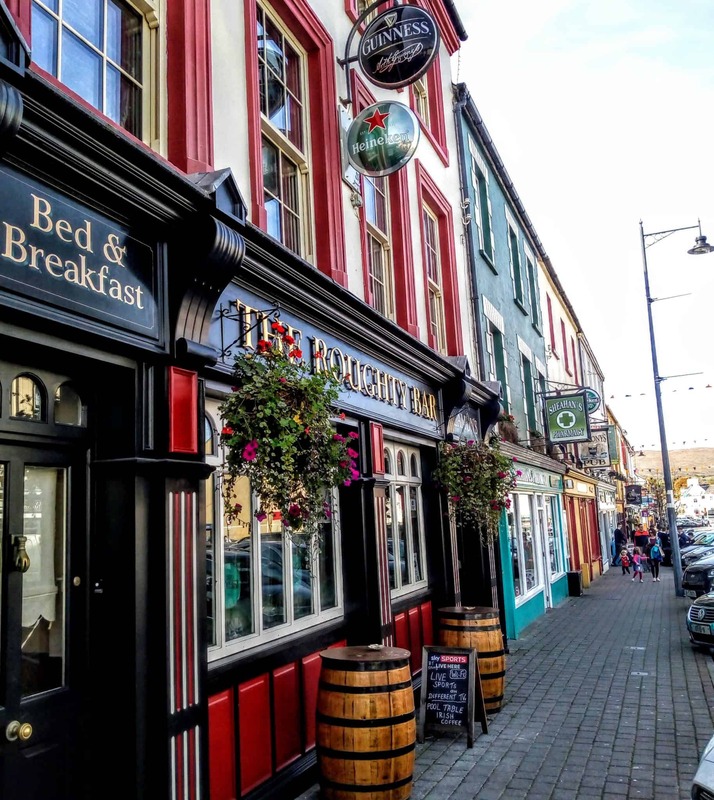 Known for its Irish culture and where Gaelic is spoken as much as English Dingle is home to some of the best pubs in Ireland and the craic is mighty. The bay is often populated with dolphins and there is an amazing aquarium in town where you can learn about the local “residents”. Donegal Town is located in northwest Ireland on the Wild Atlantic Way. In Gaelic, Dun na nGall means Fort of the Foreigner. Donegal Town sits to the south end of Donegal at the mouth of the River Eske, with views of the Bluestack Mountains on one side and Donegal bay on the other. To get to Donegal Town take a drive through the dramatic Barnesmore Gap, which had a notorious reputation until the 1800s. 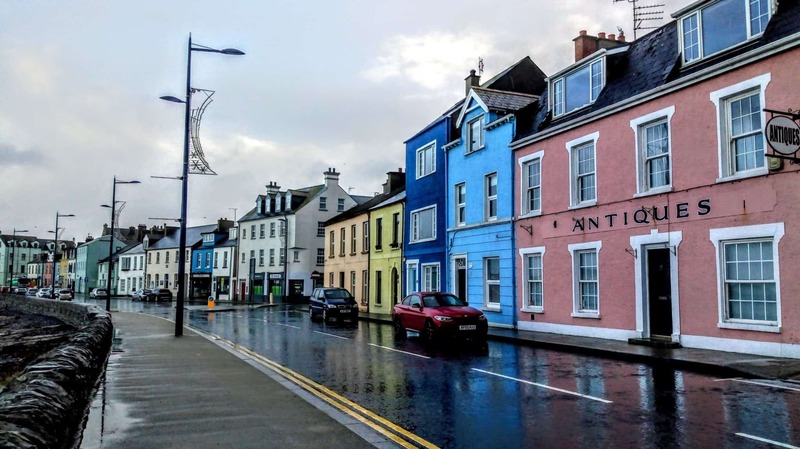 There’s plenty to do in Donegal town from visiting the ancient Castle ruins to having some of the best Mexican Food in Ireland at La Fiesta. Donegal Town has a lot going for it, boat tours around the bay, you can visit the Abbey ruins, pay your respects at the famine graveyard and take a hike in the Bluestack Mountains. 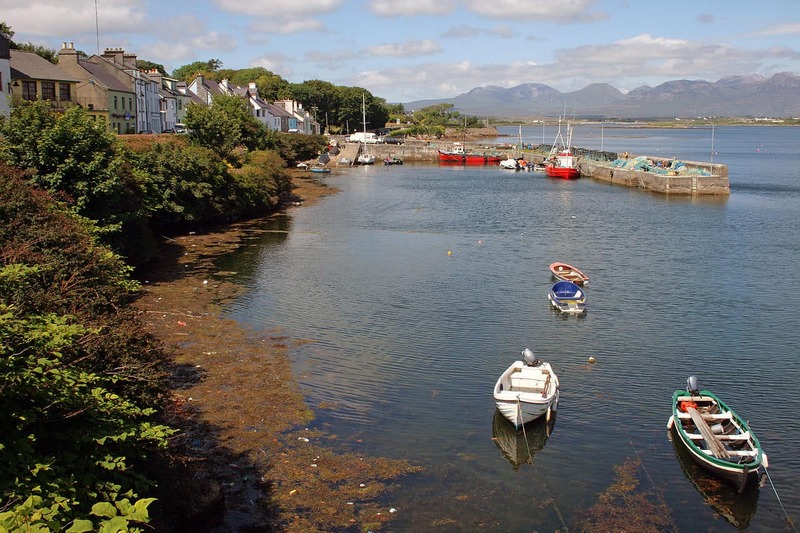 Near the head of Kenmare Bay, Kenmare itself is famous for its lace making history. The Kenmare Lace and Design Centre are open to the public and you can learn all about the intricacies of this beautiful textile art. 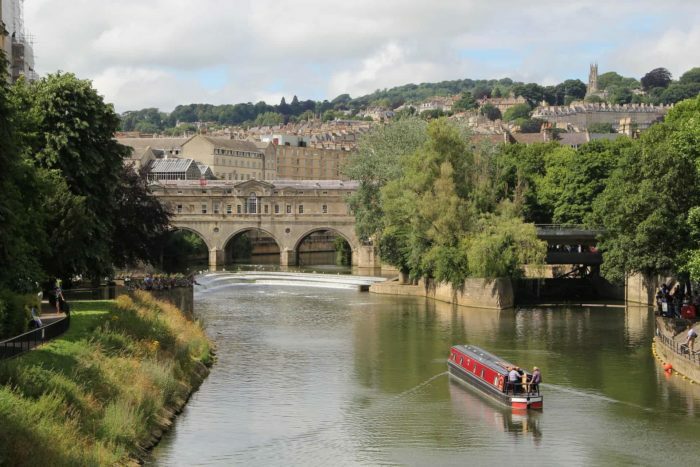 Close to the town centre, you will also find a Bronze Age Stone Circle and a dolman. 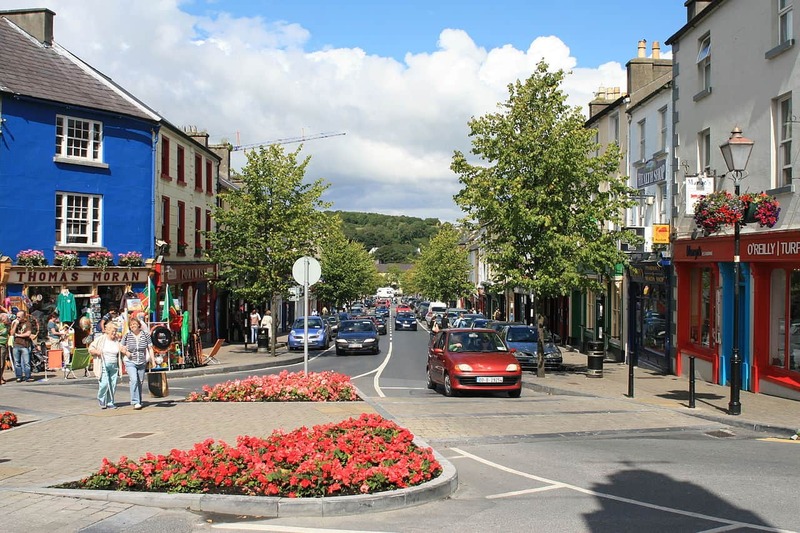 Kenmare is a really picturesque village and convenient for tours around the Ring of Kerry and the Beara Peninsula. Home too many a fine restaurant and boutique shop in Kenmare you will feel like you are in the heart of traditional Ireland. Kilkenny both a beer and a Town. Kilkenny is absolutely one of the most visited places in Ireland. It’s a larger town with a lot to see and do. From tours of Kilkenny brewing to the famous Medieval Mile and of course Kilkenny Castle and St. Canice’s Cathedral. Kilkenny has an amazing Arts Centre near the Castle and is renowned for the Kilkenny Arts Festival which showcases Irish and international creativity over ten days every August. Killarney is easily one of the prettiest and most charming places in all of Ireland. The town is situated near the Ring of Kerry so take a jaunting cart around the Ring and enjoy the spectacular scenery. The town itself is full of character and characters. 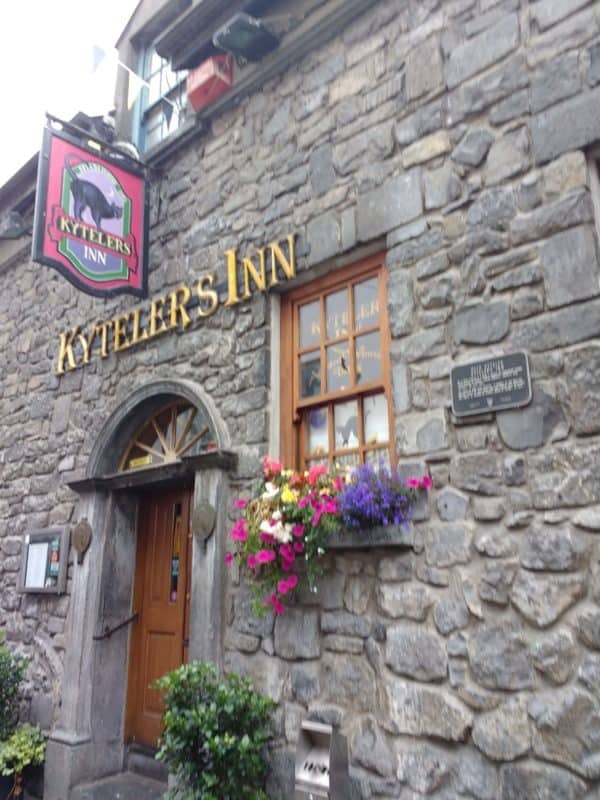 Plenty of places to stay, eat and drink Killarney has some fine music venues and pubs to hear some traditional and non-traditional music at. Make sure you visit the Killarney National Park and Lough Leane. 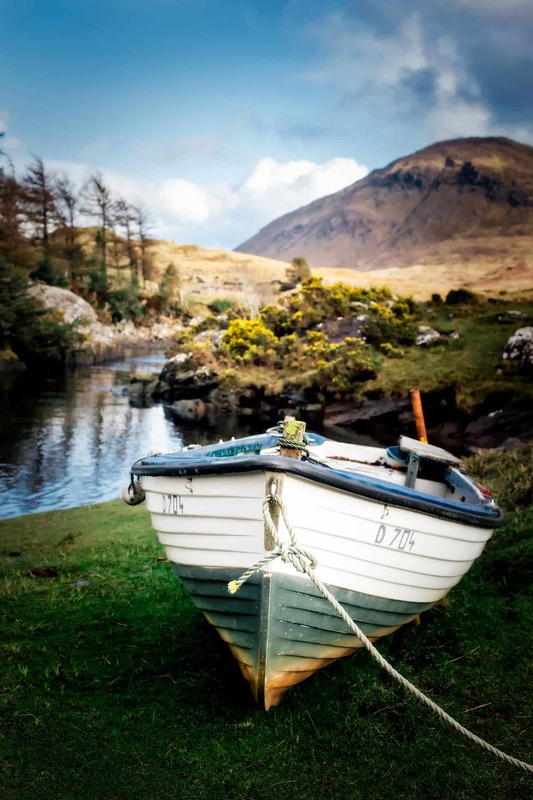 If you love a hike set out for the Gap of Dunloe. Or check out the restored Ross Castle, or venture over to Muckross Abbey, Muckross House and Waterfall are also wonderful visits. 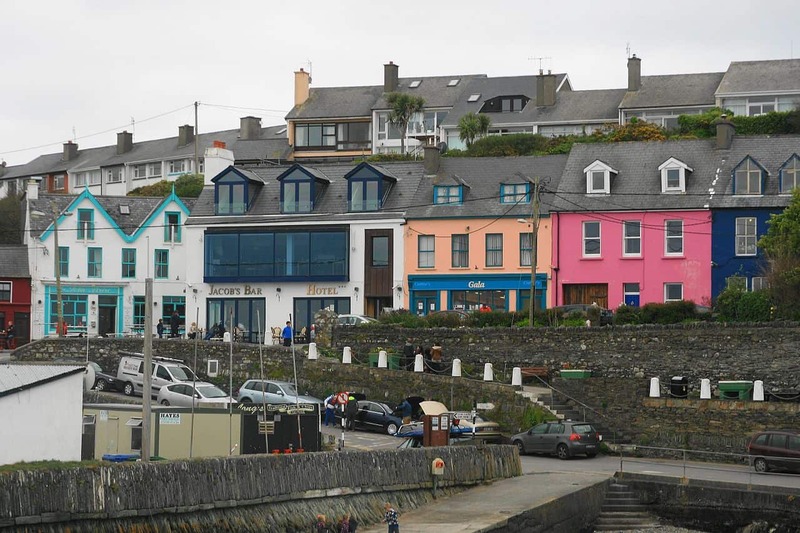 Kinsale is an Irish village to keep you dreaming for years. Colourful houses and buildings line the streets of this lovely fishing Village. 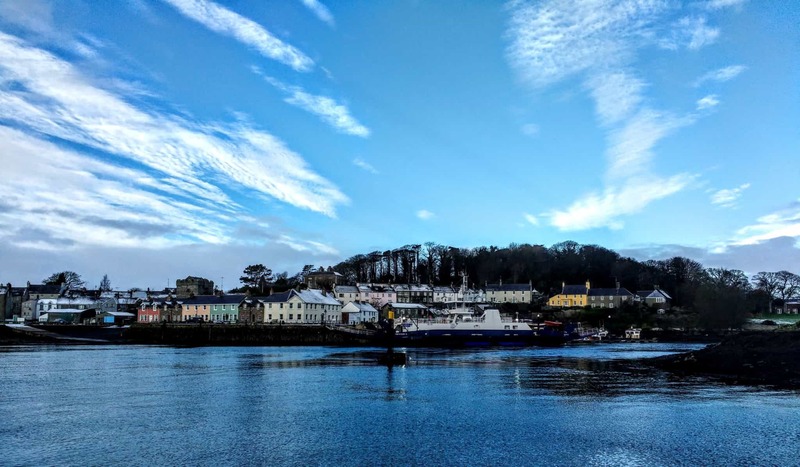 With a long naval and rebellion history, Kinsale was where the final Spanish Armada landed and united with Irish rebels, but the rebellion was quashed. The narrow streets of the old town make for a lovely stroll and you will find many a fine seafood restaurant to whet your appetites. 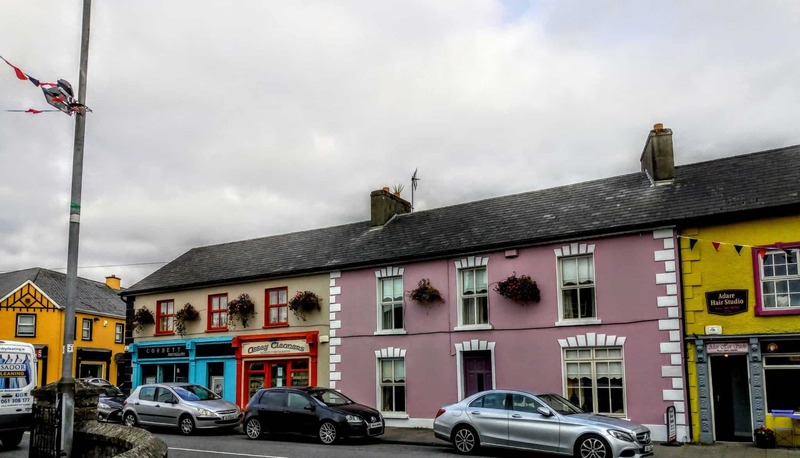 A pretty village with a population of just over a 1000 people, Oughterard is located on the shores of one of the finest fishing Loughs in Ireland, Lough Corrib. this historic little village sits at the gateway of the Connemara Loop. A brilliant place to explore the area there is a lot to explore in the Connemara region. Just outside of town are a couple of castles, including the very impressive Aughnanure, which dates back to the 16th century. The Carrowbeg River that runs through Westport is one of the outstanding features of this lovely town. The houses running either side of the river are Georgian in design and their elegance epitomizes the town. 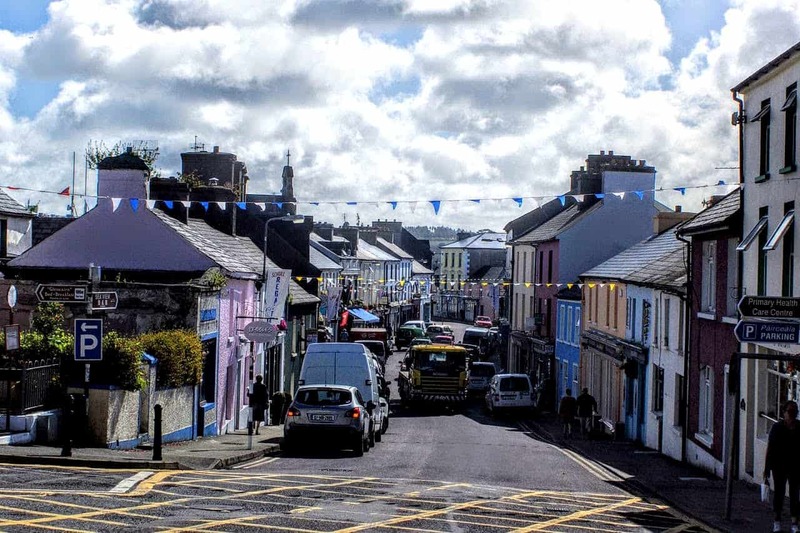 One of the main draws of Westport is the nearby scenery, which includes Croagh Patrick, the mountain where many a pilgrim comes each year at the summer solstice. 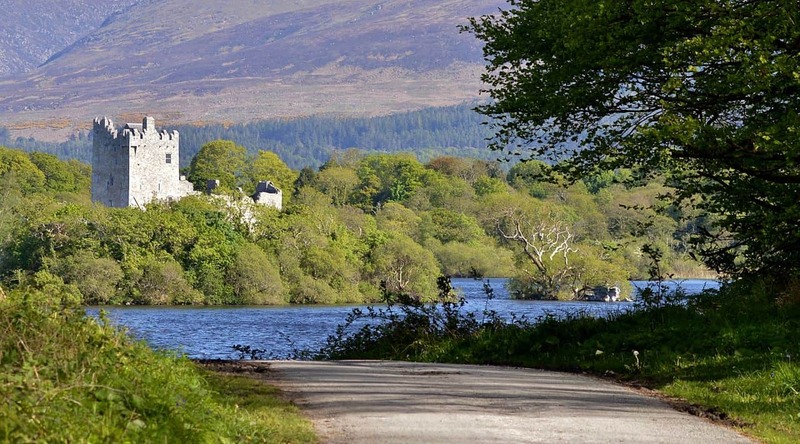 Nestled right on the border of Galway, Cong is located close to Ashford Castle famous for its celebrity and royal guests. In Irish Gaelic, the name for Cong is Cúnga Fheichin, which translated means Saint Feichin’s narrows. This is a nod to the geography of the area as Cong is built on a narrow spit of land between Lough Corrib and Lough Mask. Home of the famous John Wayne film The Quiet Man, Cong pays tribute to the movie in every way it can. There is a Quiet Man Museum to visit, a ruined abbey, quaint little coffee shops and colourful BnB has to stay at. Dunfanaghy – okay I know this is tough to pronounce but here goes dun-fan- yee, the town hugs the northern coast of Donegal near Muckish Mountain. Only a hop skip and a jump from Glenveagh Castle and Glenveagh National Park Dunfanaghy is one of the coolest areas in Donegal. 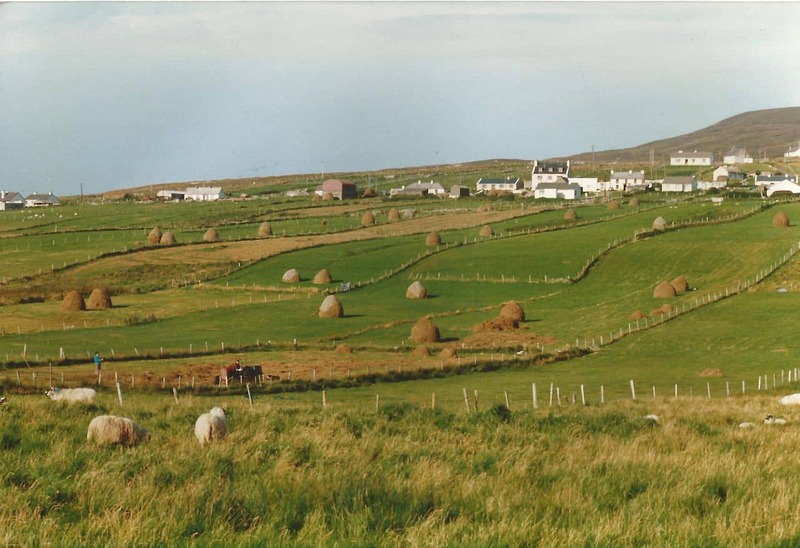 The landscape ranges from mountains to bogs, to rock filled sheep fields and crashing Wild Atlantic Way waves. Right at the tip of the Coolera Peninsula is the surfing village of Strandhill. Known as having some of the best surfing in Ireland the beach is absolutely stunning. Not a swimming beach (as the currents are quite strong0 but there is plenty to do in the Village. 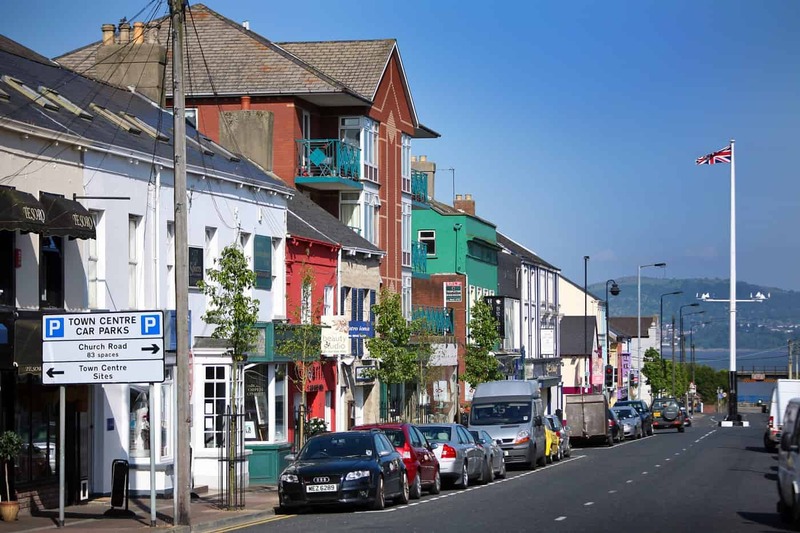 Featuring some great eateries and even better ice cream Strandhill also has an amazing market. I really don’t like the word “quaint” but Roundstone actually fits it perfectly. It clings to the edge of Galway’s northern coast at the foot of the Errisbeg Mountain. Boats bob up and down on the water of the harbour and the lovely bright houses hug the shoreline. Roundstone is a great place for traditional crafts including Bodhran making. Take a seat at one of the many harbour cafes and watch the traditional Galway Hookers in the bay. Or take in a sunset over Inishnee. A centre for traditional Irish music, Doolin is situated atop a cliff with strong ties to the Gaeltacht region. From Doolin, you can take a cliff walk and arrive at the north end of the Cliffs of Moher. This is a glorious walk that will allow you to skip the queues at the Visitor’s Centre. A great central spot for both the Cliffs of Moher and the Burren. A visit to the Burren National Park is a must do when in the area. No, not that Baltimore this one is a lonely little harbour town at the very end of Ireland. Home of some of the finest seafood in Ireland you can even go deep-sea fishing and catch your own. Whale watching, pub drinking, traditional music and lots of craic are here in Baltimore. Once home to pirates and buccaneers Baltimore the Village was once taken over by Pirates from Holland, Moroccan, and Algerian pirates and up to 200 villagers were taken captive. Baltimore also benefits from Ireland’s most temperate climate so it is a great place to explore the region around Roaring Water Bay the islands of Sherkin and Cape Clear and the Baltimore Beacon. 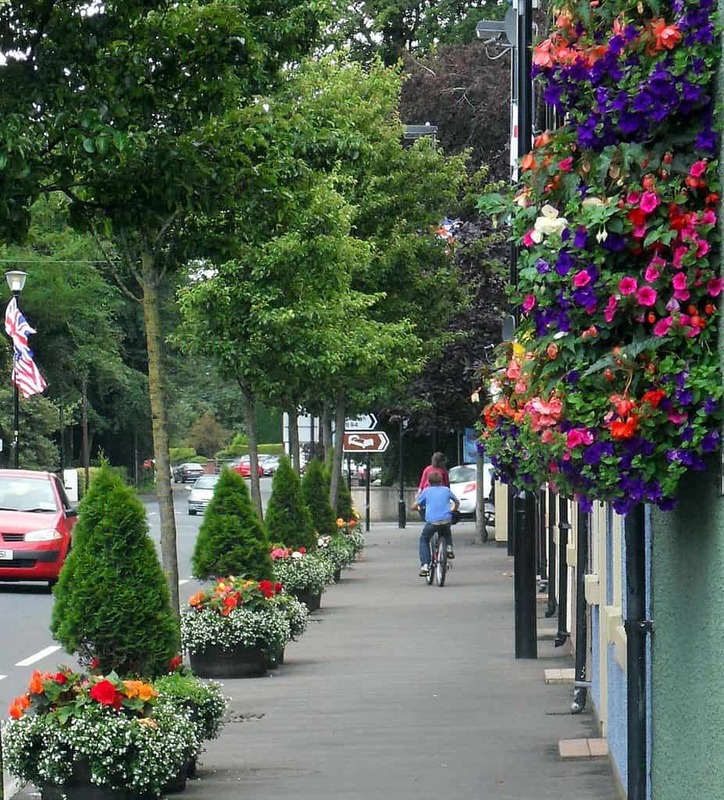 Inistioge is located in the beautiful natural surroundings of the Nore River in South Kilkenny. 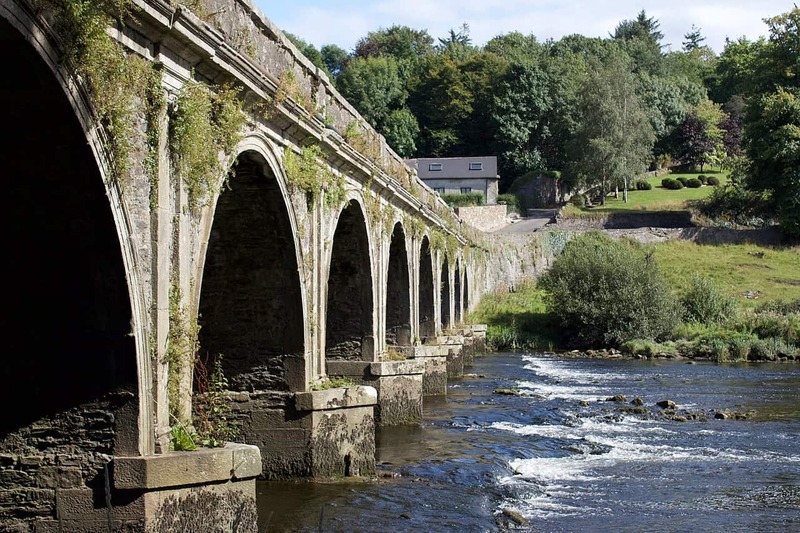 One of the most visited places in Ireland’s Ancient East Inistioge is tucked into the Nore Valley which contains some of the most beautiful scenery in the area. Visit the Woodstock Estate or take on some of the woodland hikes, Inistioge is a perfect location for enjoying nature at its best. Northern Ireland has been named one of the coolest places in the world and is famous for its stunning coastline, areas of outstanding natural beauty and of course filming locations of Game of Thrones. Famed for its striking coastline and natural wonders, Northern Ireland has some of the most picturesque villages and towns in Europe. With long sandy beaches, historic buildings, breathtaking vistas and spectacular mountains these are some of N. Ireland’s best villages to visit. Greyabbey is located in an Area of Outstanding Natural Beauty (AONB) on the Ards Peninsula near Strangford Lough. 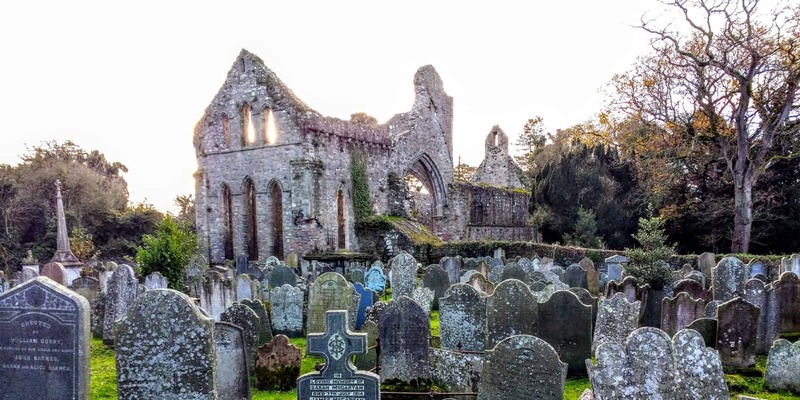 The Abbey that the village is named after is a Cistercian Abbey that lies in ruins and dates back to 1103. Alfreca wife of John de Courcy founded the Abbey but by the mid-1500’s it was abandoned and left to rot. In the late 18th century, it was refurbished and further restoration took place in the 20th century. These days you can visit this quietly peaceful Abbey and its adjacent visitor’s centre. There are beautiful parkland settings, a lovely little herb garden and the nearby grand house of Grey Abbey House, which is thought to be the finest of Georgian style architecture. The house itself has one of the finest gardens in the country with a massive array of unusual plants, trees, and flowers. Greyabbey is well known for its superb art galleries and antique shops. Just outside of town a must visit is Mount Stewart House and Gardens. I’ve driven through Strangford several times and each time it enchants me more. A really pretty little village it’s a lovely place for a walk around the harbour and a lunch stop. It’s still in the AONB and has a brilliant Marine Reserve. I fell in love with Broughshane many years ago on my first trip back to Ireland to visit family. This small village has been crowned Village of the Year for many years now and is picture perfect. The town’s motto is ‘People, Plants, and Pride Growing Together’. Its host of volunteers works to protect the rare varieties of swans and geese that populate the river. There’s an old coaching house called the Thatch Inn to stay at that dates back to 1904 and a lovely high street for all your shopping needs. Broughshane is also home to the actor James Nesbitt and the HBO show Game of Thrones has filmed nearby. Carnlough is found at the foothills of Glencoy, one of the famously beautiful Glens of Antrim and it sits on the harbour of Carnlough Bay. 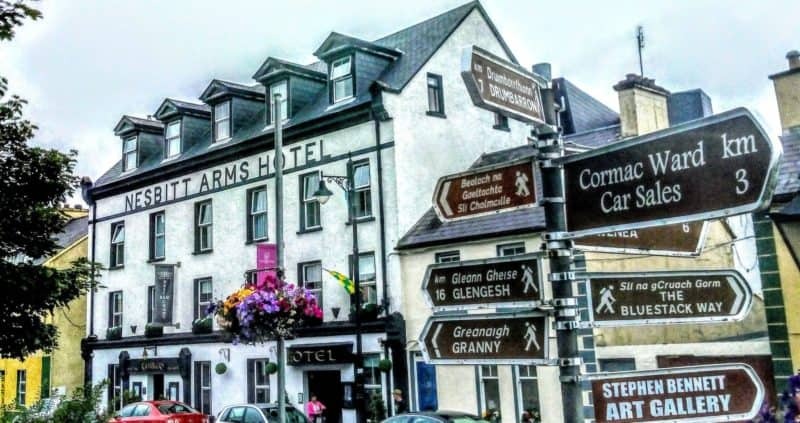 Glenarm Forest is only a mile away and the Village is home to the Londonderry Arms, which once belonged to Winston Churchill. A little further along the Causeway Coast from Carnlough is Glenarm Village. 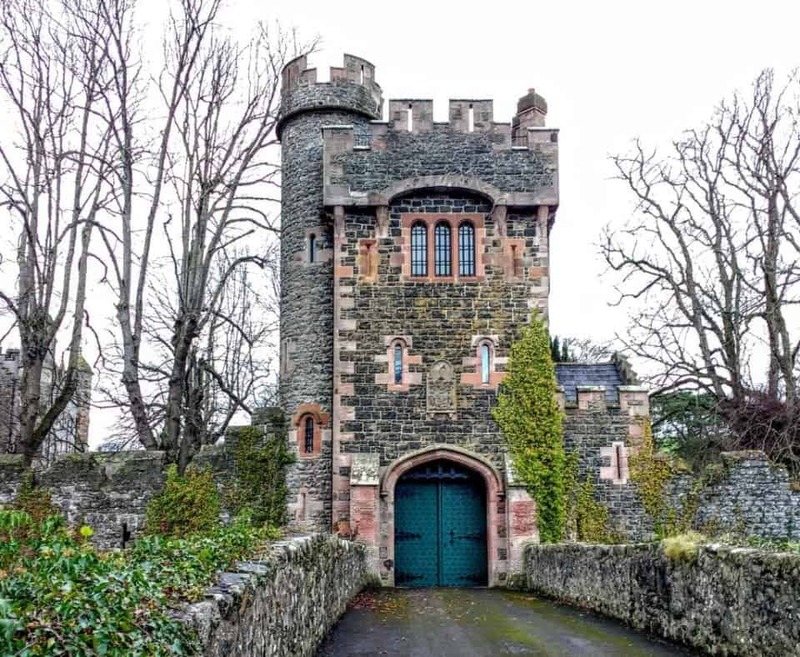 Here you can visit the Glenarm Castle, walled gardens, stop for tea and scones in the Mushroom House and even stay for a night or two in the Barbican. 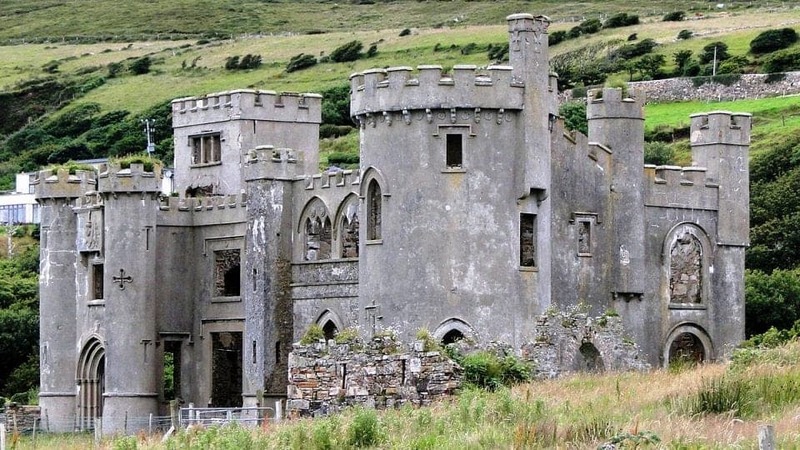 Cushendun was built in 1912 and at that, time consisted of only 7 houses. It is a lovely place to shop for Irish arts and crafts and has some really pretty tearooms and coffee shops. 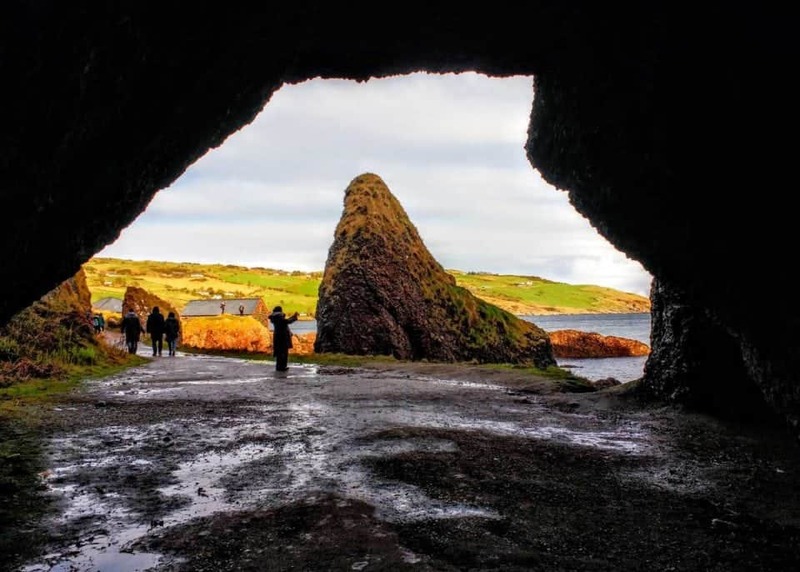 Cushendun is also the place to visit the Game of Thrones caves near the beach. As you pass into the parking lot be sure to take some apples or carrots for the goat that stands guard. 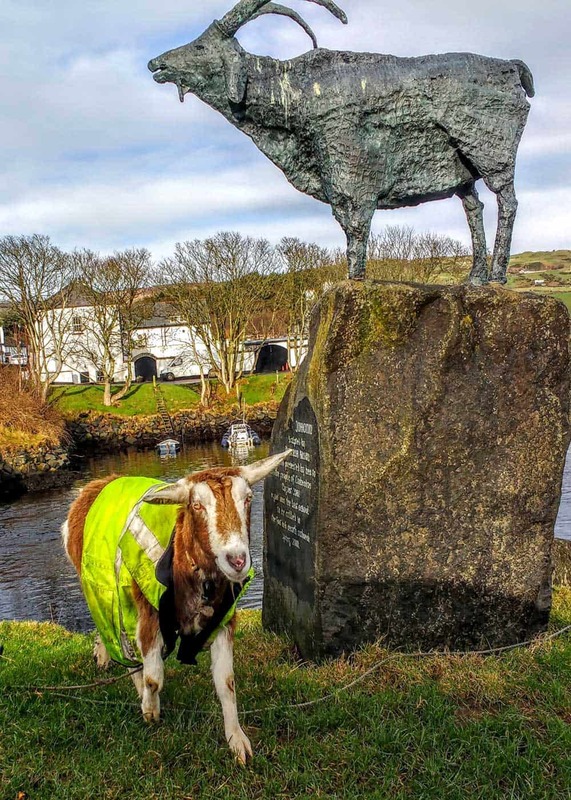 You will see Johan the Goat’s stature and tethered to the statue is the local friendly goat who loves an apple. Donaghadee is said to be home to Ireland’s oldest pub, Grace Neill’s and the first lighthouse built in Ireland in 1836. Over 403 years ago the pub known as Grace Neill’s was called the Kings Arms but a farmer bought it for his daughter Grace and for over 72 years Grace could be seen at the pub serving punters with a clay pipe tucked in her mouth. 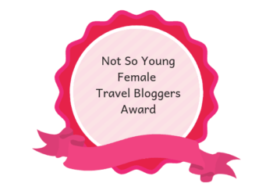 VWhat is the best Causeway Coastal Route Itinerary? 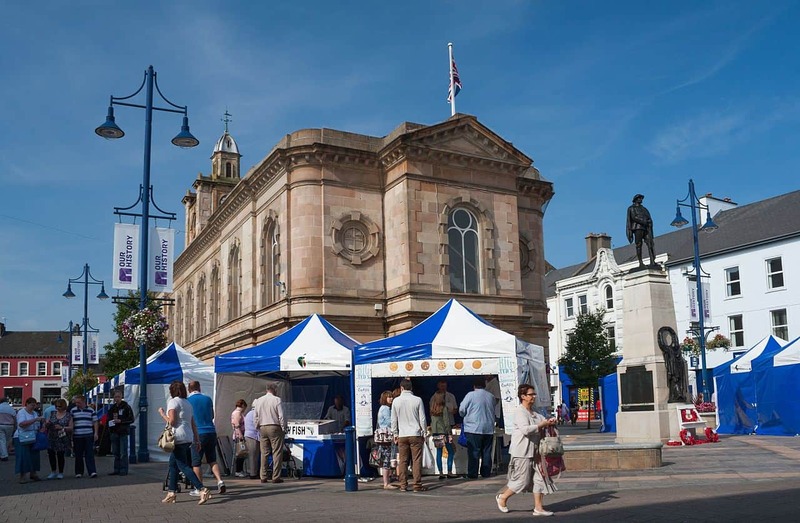 Being somewhat biased because I was born in Coleraine this little town is pretty special. It’s located near the River Bann in County Derry and it has evidence of one of the earliest human settlements in Ireland. Coleraine got its name when Saint Patrick arrived in town; the local Chieftain on which to build a church offered him some land. The land itself was next to the river and covered in ferns. Coleraine a lovely town to stop at if you is on your way to the Causeway Coast, plenty of shops, restaurants and coffee places here. A favourite seaside haunt of many on the Northern Irish coast, Portstewart is located in County Derry. There is a harbour, coastal paths and 2 miles of beach known as the Strand. Loads to do from surfing to swimming, cliff walks and trails to hike. 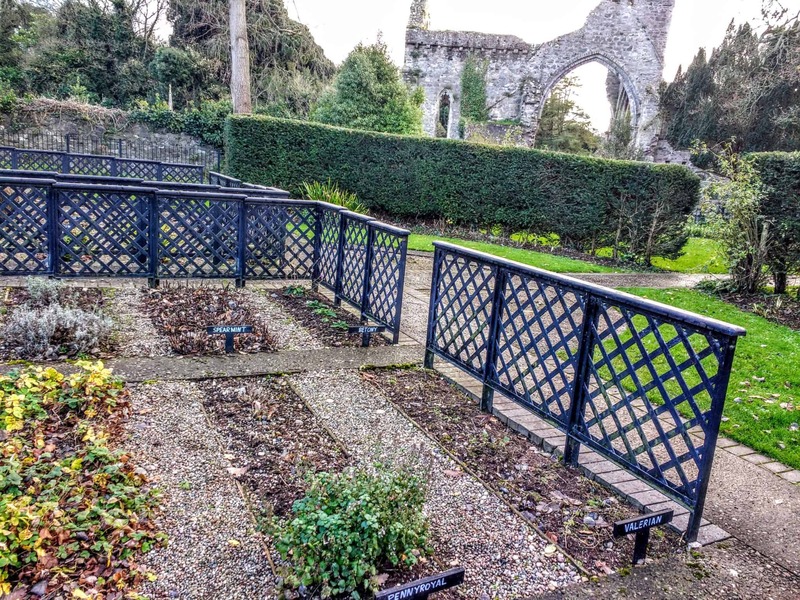 You can also visit the Dominican Convent and College, built on the ruins of O’Hara’s Castle, and Saint Patrick’s well at the top of the strand where the horse races used to take place. My dad always took us, kids, fishing at Portstewart. I don’t remember catching any but it was great fun checking out the rock pools and attempting to catch a fish for supper. 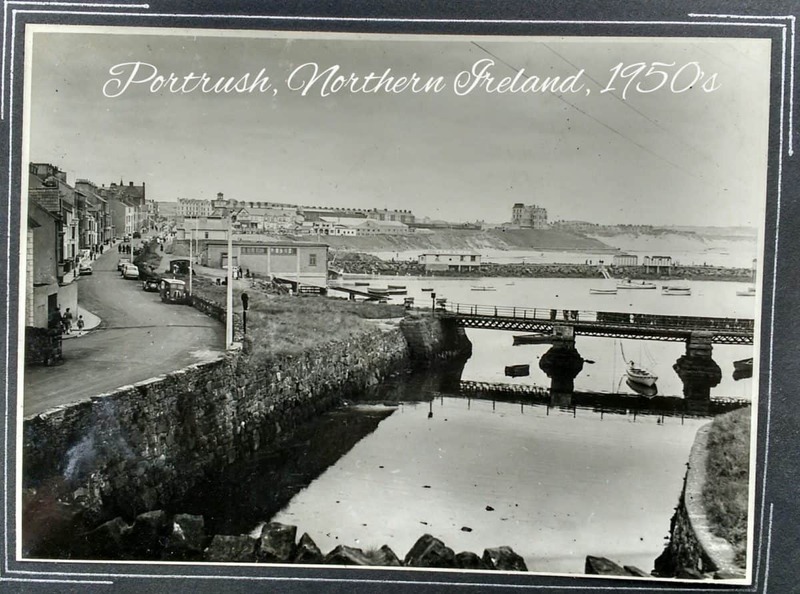 On the border of Antrim and Derry Portrush is a few miles down from Portstewart. Portrush is, of course, famous for its superb Links Golf course the Royal Portrush. This is the only golf course outside of mainland Britain to have played host to the Open Championship. We also used to go to Portrush for the gorgeous beaches that are known as the West Strand, the East Strand, Curran Strand and White Rocks. A real treat was to visit The Skerries, which is a habitat for many species of wildlife. 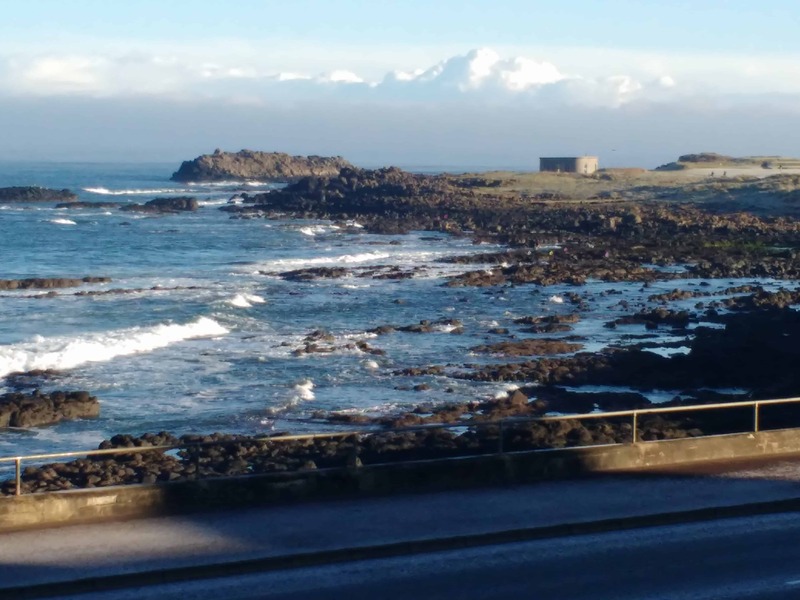 The town itself dates back to the late Mesolithic period and was once connected to the Giant’s Causeway by a Tram that sadly no longer operates. 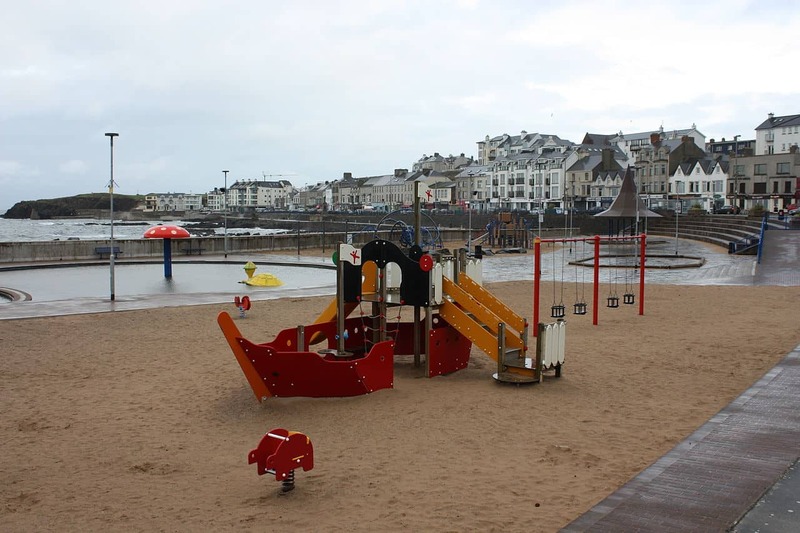 Famous in Portrush is Barry’s Amusements, which has been there forever along with The Coastal Zone and many other popular actives for children and families. The town is famous for the Old Priory, whose ruins date from the early 13th century and for its maypole in the centre at the crossroads. Its origins are not known but are said to have been erected around 1700 following the running aground of a Dutch ship on the nearby coast. One of my favourite places in N. Ireland, Ballycastle is located on the northeasternmost tip of Northern Ireland, on the Causeway Coast and Nine Glens of Antrim route. 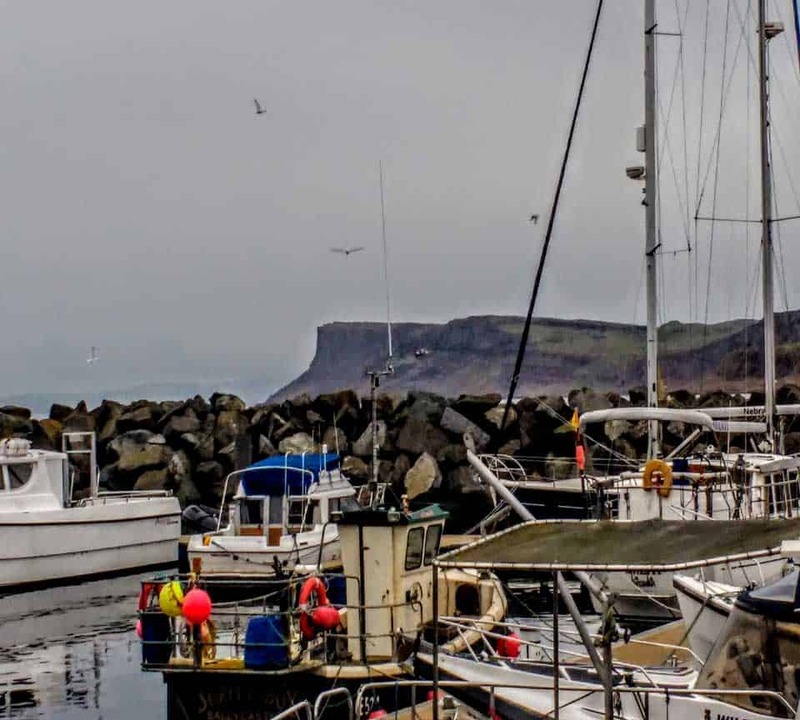 From the harbour, you will see spectacular views of the coast as well as the Rathlin Island and the Mull of Kintyre in Scotland. The town’s headland, Fair Head, rises 196 metres out of the bay. Visitors to the town often walk the famous trail known as The Grey Man’s Path, which winds its way around the rugged coastline. Knocklayde is a walker’s paradise a heather covered mountain with amazing views of the town. 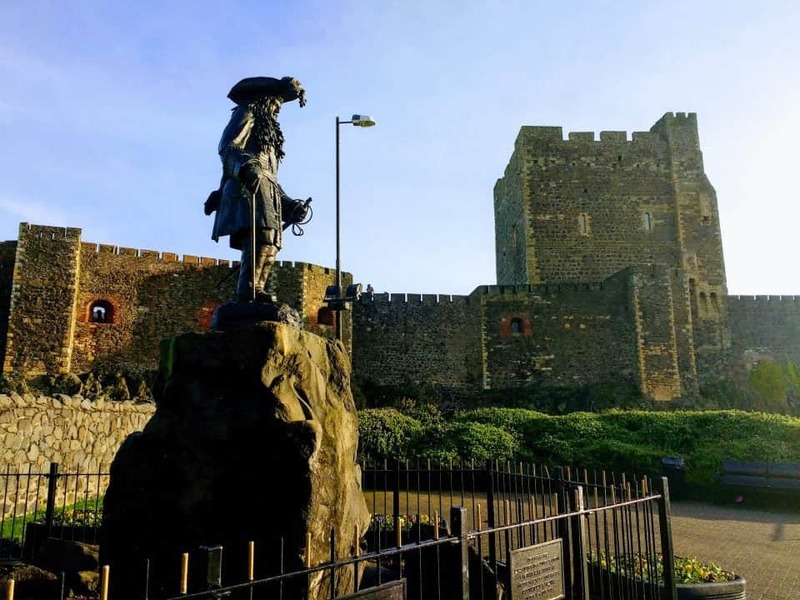 I must recommend Ballycastle Food tours arranged by Irish Feast as a brilliant way to not only explore the town and its history but to sample superb food, baked goods, cheeses and much more from around the area. Another event you should try to get to is the Lammas Fair, held every year on the last Monday and Tuesday in August. Truly to determine the quirkiest and most beautiful towns and villages in Ireland is not an easy task. Every time I sat down to write this piece I came up with another perfect Irish Village to add, but you have to stop somewhere. So, if you have visited a perfect Irish Village, let me know and I will add it to the list.